Graduation ceremony. One man handing out diplomas to the graduates as they stand in line. Graduates are wearing caps and gowns. Large flower arrangement to the right and partial view of a pine tree. Not taken by Jack. 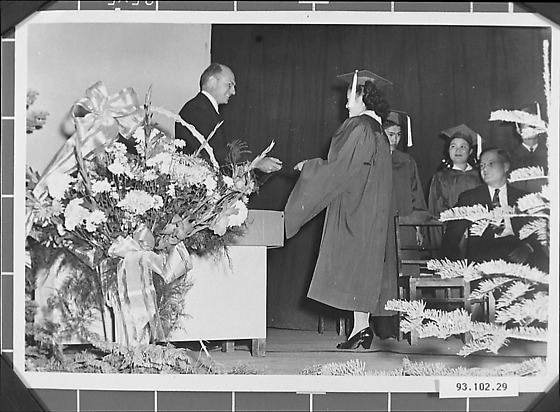 Graduation ceremony of Tristate High. The internees who came from California, Oregon, and Washington states, thats why they called the school Tristate High School.